This post is for you if you are considering coming but not sure, should you buy a weekend pass and come and go or should you stay? 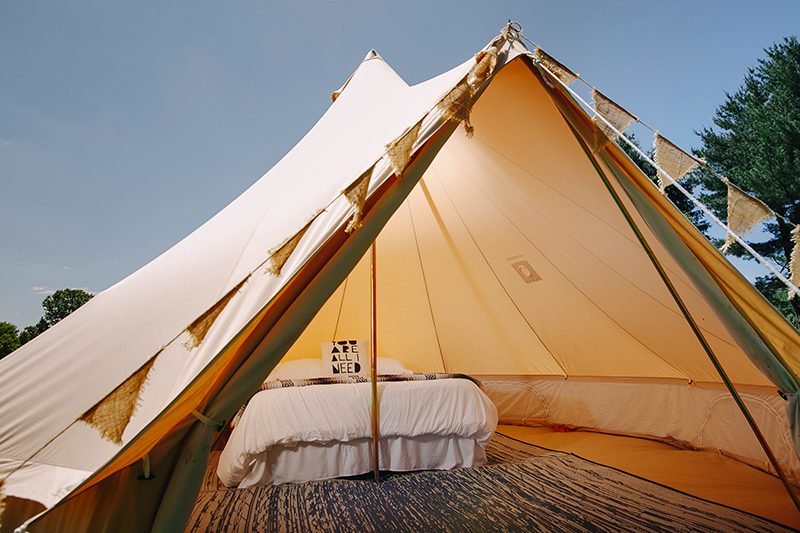 If you stay, should you camp or stay in one of the bunkhouses or go real BIG and get a glamping tent! 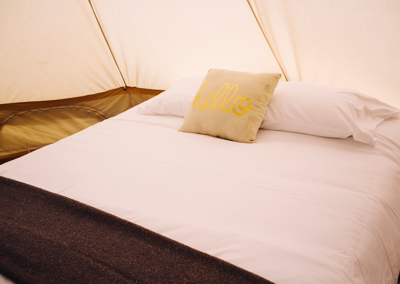 Well, we have provided a little feedback from a few that stayed the weekend last summer and we have tips on what the weekend will look like if you stay the night! 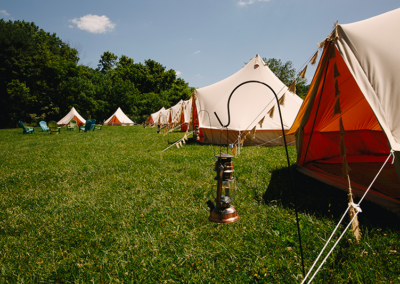 The camping area is located in our North Festival Grounds, where our classrooms for many of the smaller classes are located along with the yurt where a lot of the meditations and other smaller intimate classes take place. 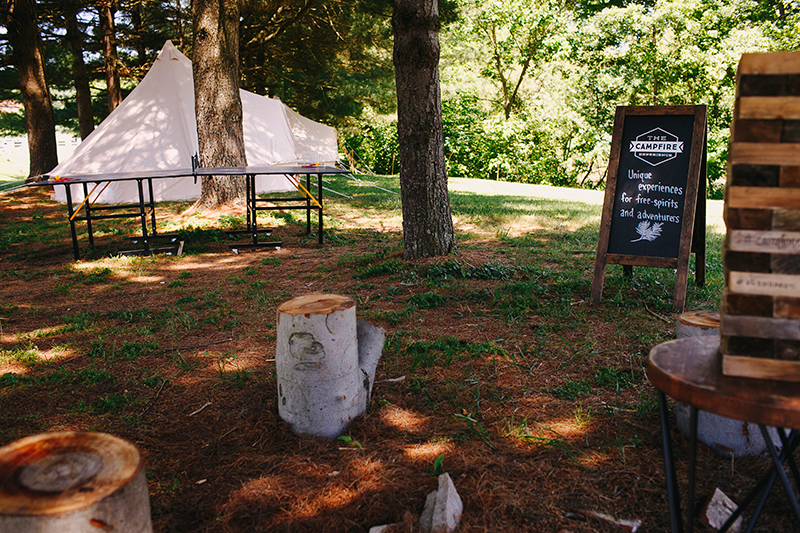 There is also a huge bonfire pit area for everyone to hang out both evenings. 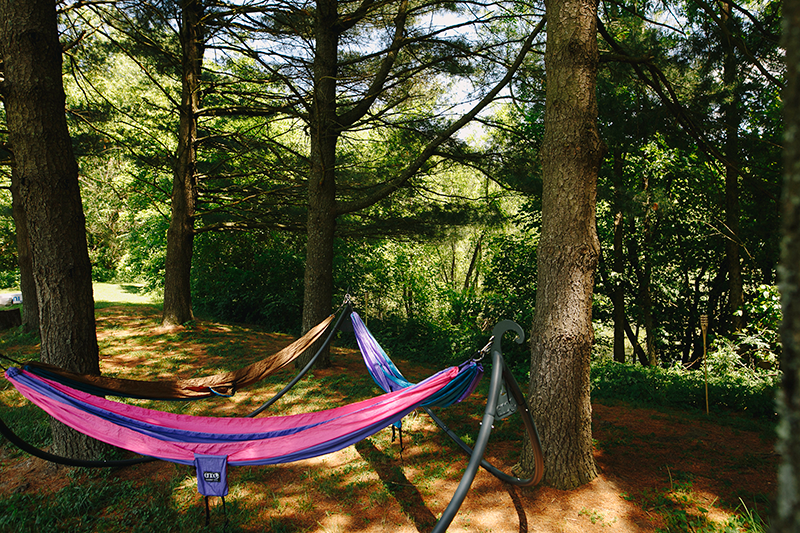 The South MAIN Festival grounds is just a short walk (.4 miles) in the woods of Proud Lake. The intention of Barefoot has always been rooted in our deep connection that we all have to mother earth. 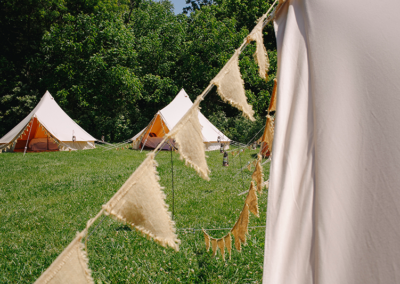 Barefoot and Free Yoga Festival offers the chance to really feel what it’s like to go barefoot, walk the earth and feel your connection to her! Well, perhaps getting a little out of your comfort zone is exactly what you need to feel a little more free! 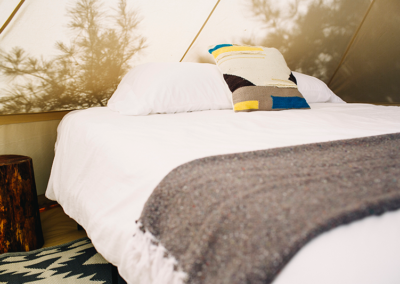 While camping does not have showers we do have SWIMMING with access to Proud Lake and the Huron River, steps away for you to cool off and clean off! However, if its really not your thing then how about…. 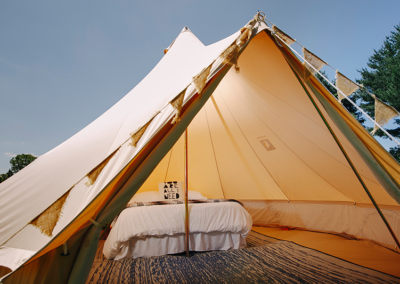 Easy breezey set up, you will check in on Friday and pick your bunkbed in one of our 3 bunkbed house wings (women only wing, co-ed wing, and the quite zone), set up your bedding and get ready to take your first class! 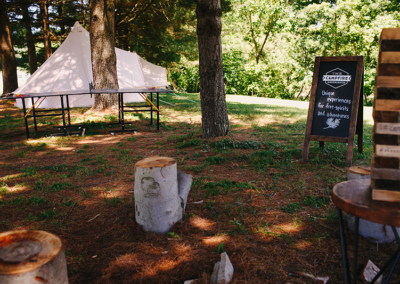 Its the same short walk through the woods, The Shala Bunkhouse will take you through the woods and across the river from the North Grounds to the South MAIN Festival Grounds. Here is where you’ll find tons of food options all day long, and vendors who sell homemade / beautiful “yogi” type must haves! 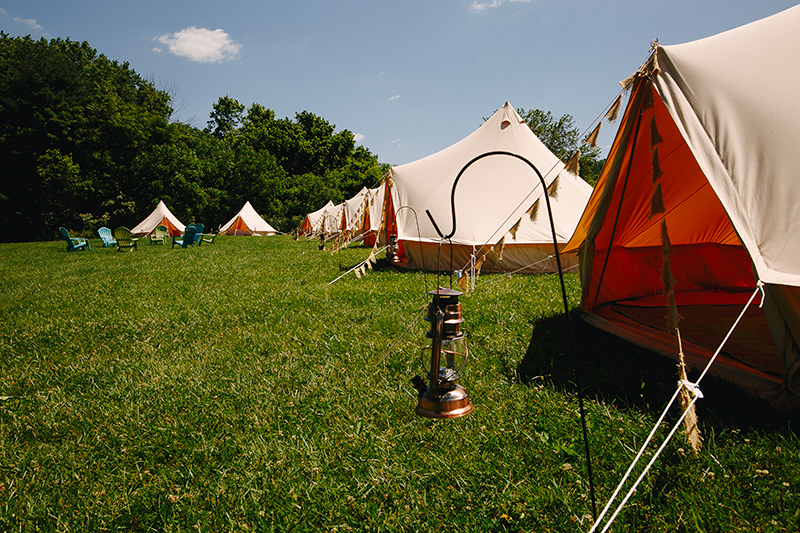 There are little outdoor lounge areas this year, including hammocks (also feel free to bring your own and hang it) as well as a chill out tent that will keep you cool (NEW this YEAR!!). Pretty much all day in this main area you can also listen and dance to live music! You can be as active or relaxed really as you choose to be. Classes and workshops are offered all day long but not all of them are physical yoga! We have art classes, talks, workshops, nature inspired teachers, inspirational leaders, as well as a lot of chill yoga! Perhaps you will spent most of your time trying out our SUP classes (they run all weekend) and in between classes you can take out a SUP board, swim and catch some rays! This year we will provide a nice map of the trails of Proud Lake and we are excited to offer a few yoga hike workshops as well! 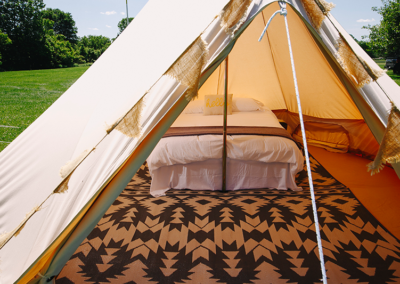 Okay sounds good BUT i still don’t wanna camp and I don’t wanna sleep in a bunkhouse with others…… WELL this year for the Abundant YOGI we are offering GLAMPING! 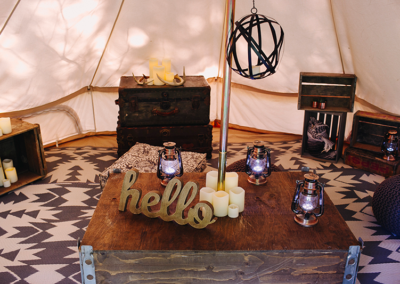 Well glamping gives you the connection to nature just like camping but in a very POSH tent where you do not need to set up anything! 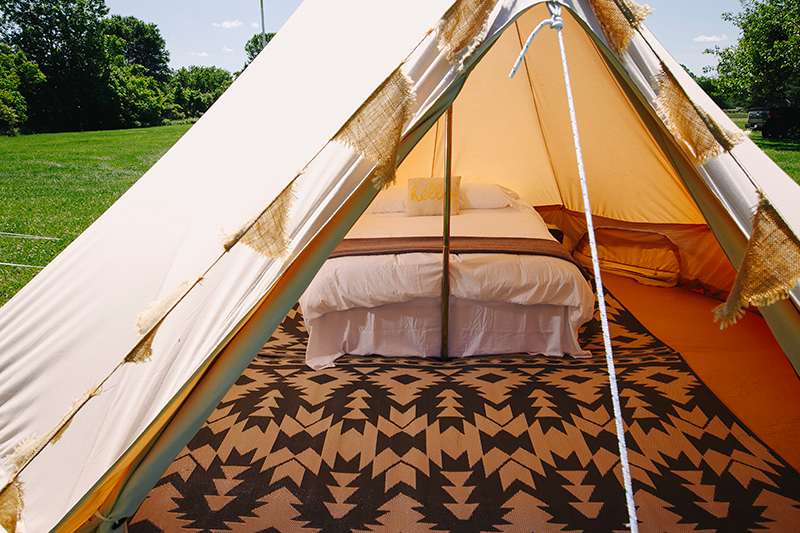 EVEN your bedding is provided! 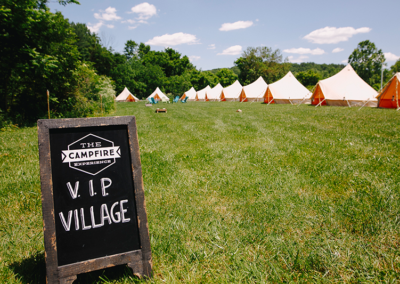 The Campfire Experience is our glamping partner this year and we are thrilled to offer this VIP option. 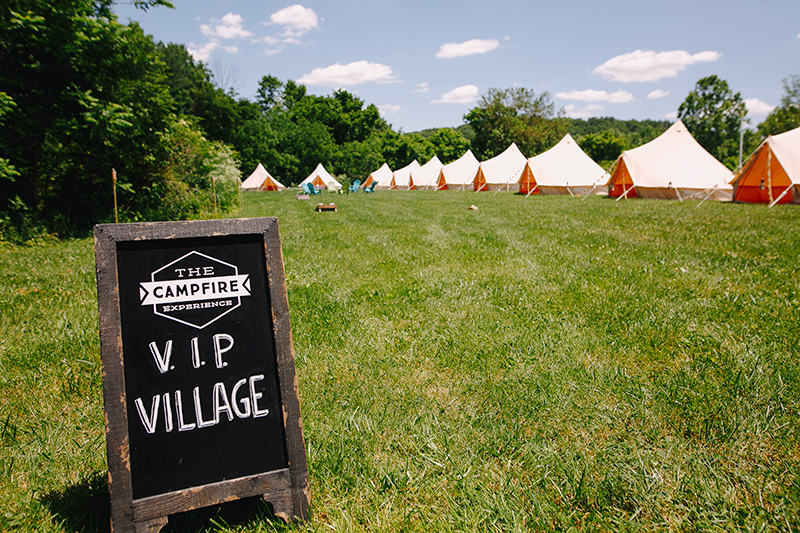 You will camp close to the other campers, but in addition to your tent you also have a VIP lounge area just for glampers! 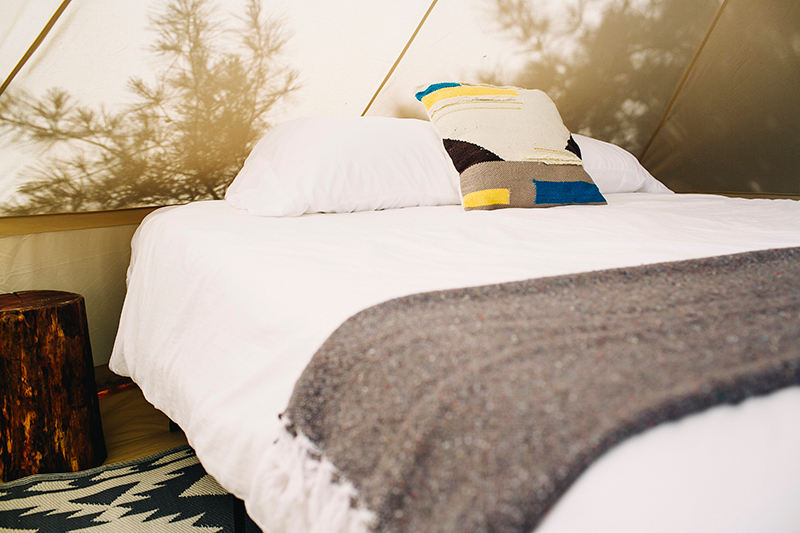 PLUS you have access to the showers located inside the SHALA Bunkhouse! 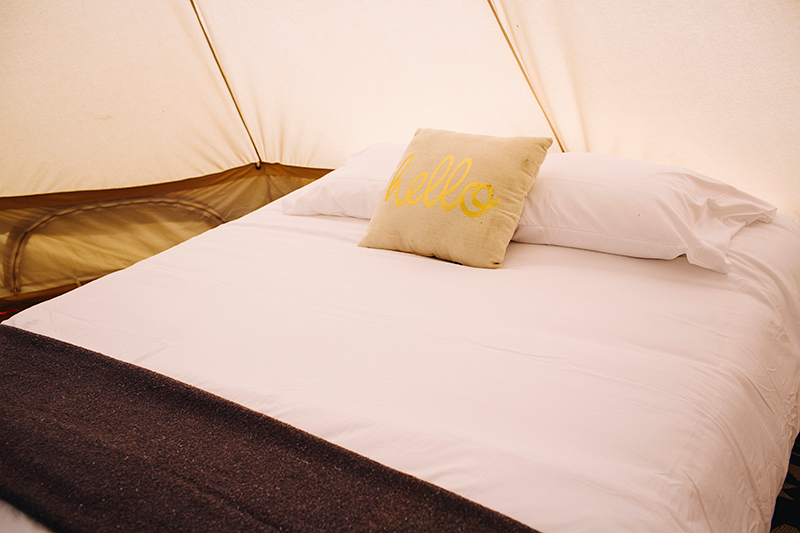 The tents here are priced per person and designed for two very comfortably and even more POSH for one! 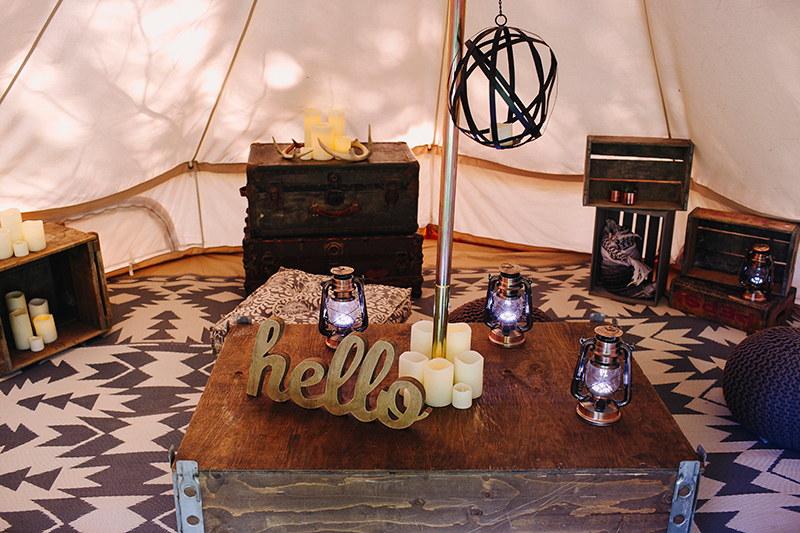 Glamping will allow you to truly CHILL for the whole weekend and treat yourself like the God/Goddess that you are! If none of these options sound good to you… Well guess what, we will provide a list of hotels near by and Air B&B links if you really need your own space! A lot of people come and go throughout the weekend with our Weekend Dancer Pass or even a single Day Pass. This year we have a shuttle to make parking simple and easy and we will have a easy car pool link up on our Facebook page this year! We will have our volunteer applications up soon, so remember, if all of this is out of your price range, we love offering work trades and our volunteers last year gave us rave reviews!!! Have you visited our FAQ page? There we fill in a lot of the little details! Still have more questions? Send us a message ! 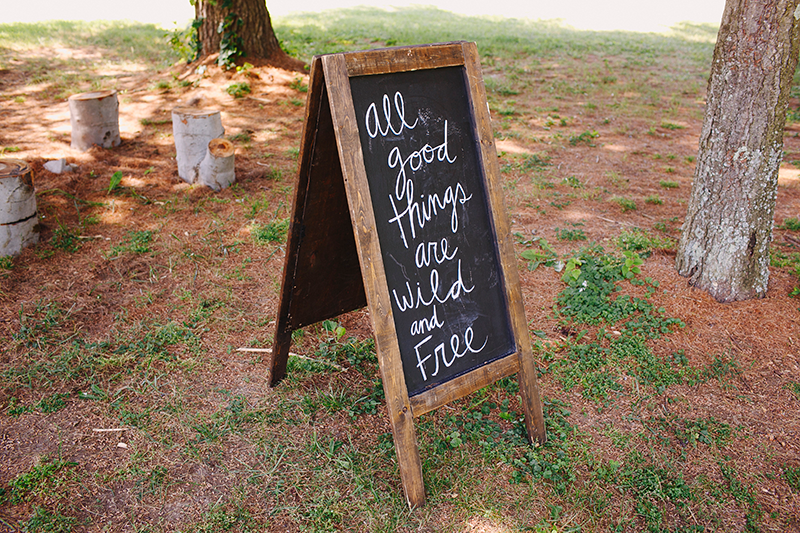 We are happy to help you in helping yourself get to BAREFOOT this summer AND feel a little more FREE! !!!! Nestled in the woods, Barefoot and Free has become my sanctuary where joy, love, and wonder are free to make their homes in my heart. Here time moves slow, my heart expands and my spirit soars. I connect ever more deeply to the Earth, my breath, and the inspiring humans around me. The potential is here for so many different experiences, for any type of mood. 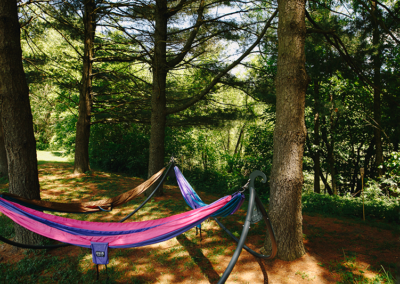 Sometimes I want to float around the lake on a paddle board or lounge in my hammock while friends lift the atmosphere with guitar songs. I can play in the forest fairy realms and then groove and shake to soulful rhythms. I can be inspired by the presence of wise teachers and engage in breath, sound, and asana in new ways with the rich variety of classes and workshops. 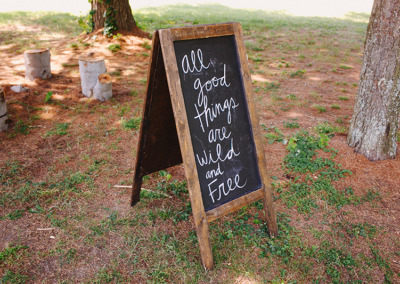 Barefoot and Free is an experience and a model for heart-centered and truth rooted living. It is a community and family playground and I always leave with a deepened sense of belonging and purpose, inspired to share these gifts with the rest of the world. 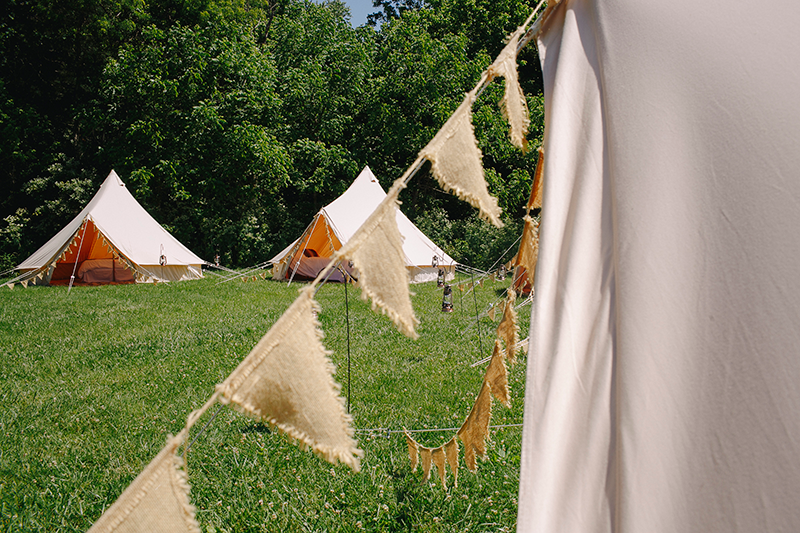 Barefoot & Free Festival is Bliss! 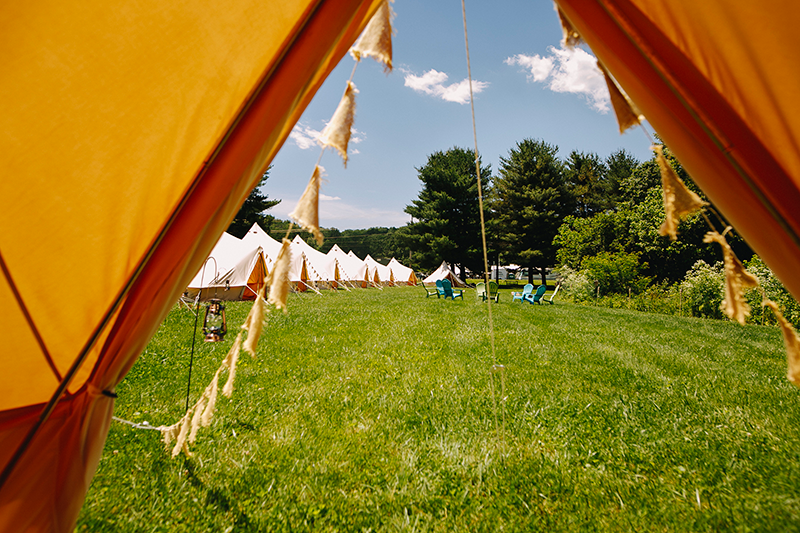 You couldn’t ask for a more perfect way to spend a summertime weekend in Michigan, than to join friends, old and new, at scenic Proud Lake for all things yoga and the highest of inspirational vibes. 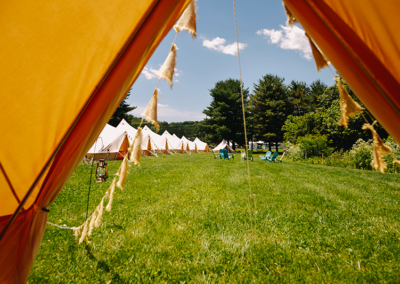 From all of the world renowned yoga teachers offering a variety of phenomenal classes and workshops, to all of the amazing vendors, music, walks among nature & the fantastic energy of the BF&F attendees, you can count on this festival to be an exceptional experience. 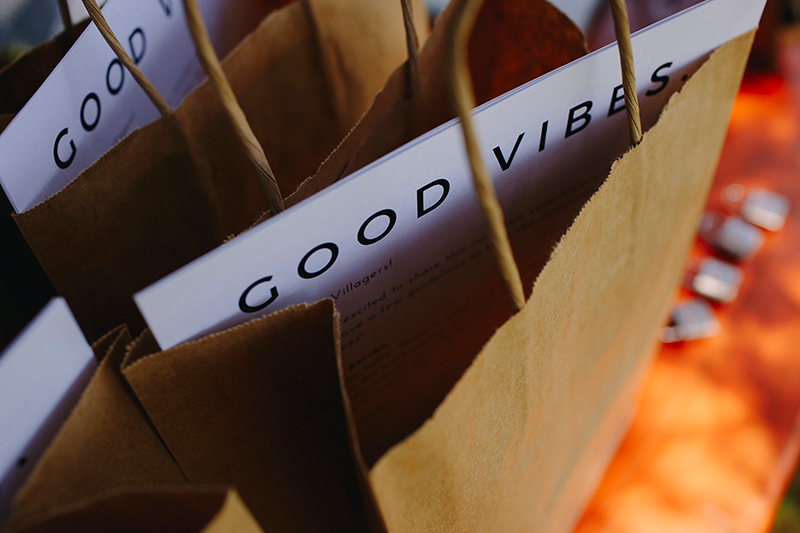 A full heart full, clear mind, happy body and lighter, freer spirit are just a few of the takeaway gifts I’ve been able to bring back home with me to share with my community. I have nothing but gratitude for this festival, its founders and followers. There’s volunteer options for a discounted price? Can I have more info on this please? Thank you!! !